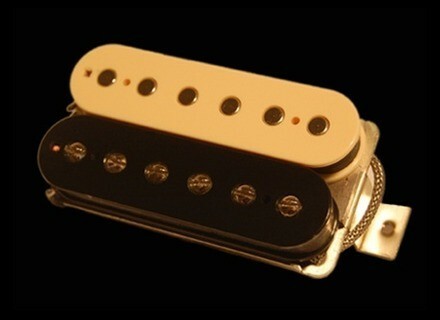 Multi-tone Humbucker, Humbucker guitar pickup from Fervor Pickups. 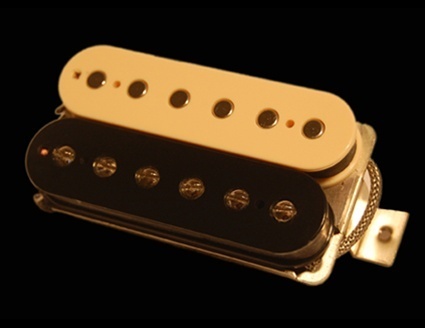 Fervor Pickups introduced a new pickup to its current line-up: the Fervor Multi-tone Humbucker. "A higher output offering with expanded edge, sustain, and drive. Its bottom-end is notably thicker and nastier than Fervor’s previous models. The Multi-tone combines classic voicing with modern power for the ultimate in sonic flexibility." The Multi-tone features Alnico 5 magnets wrapped with 43 gauge plain enamel wire, joined to a nickel silver base plate and a braided lead wire. The pickup is available in black or zebra; covers are available in chrome, gold, or black. The line of pickups ranges from $75 - $150. For more information visit www.fervorpickups.com. Boss TU-3 Shipping Boss announced that the TU-3 Chromatic Tuner an updated version of the pedalboard standard TU-2, is now shipping. Meisel COM-90 Tuner The flexible gooseneck mount featured on the new Meisel COM-90 clip-on instrument tuner is designed to let players place the display in the perfect viewing position.